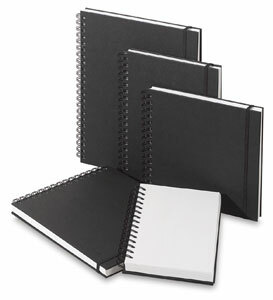 These sketchbooks are perfect for field or studio work. They can be used with a variety of materials including pencil, pen, charcoal, or pastel. Each book contains 80 sheets of premium-grade 70 lb (110 gsm) neutral pH drawing paper.